Many industrial projects, including vehicles, ships, rail cars, and buildings, require the skills of welders. Welders are extremely important to our nation’s infrastructure, but they also are in an extremely dangerous profession. According to the Occupational Safety & Health Administration (OSHA), 500,000 workers perform welding, brazing, and cutting annually in a variety of industries, and the risk of suffering fatal injuries is more than four deaths per thousand workers. Electrical shock. Electrical shock is one of the most common accidents welders face. It can be caused when two metal parts that have a voltage between them touch or by secondary voltage shock where the welder touches part of the welding or electrical circuit at the same time his body touches a part of the metal he is welding. Exposure to fumes and gases. Welders are exposed daily to toxic welding fumes and gases, such as harmful metal oxide compounds, base metals, and base metal coatings, and minerals like manganese that can cause respiratory illnesses and worse. Excessive noise. Welders can be exposed to dangerous noise levels—above 85 decibels averaged during their workday—and flying debris that can penetrate their ear canals, resulting in permanent hearing loss. Fires and explosions. 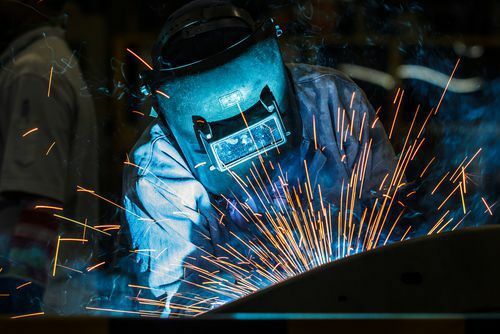 Because of the high heat of the welding arc and the hazardous fumes, gases, and chemicals welders work with, they face a serious risk of being injured or killed in a fire or other explosion. Optical hazards. Sparks and hot metal drops can saturate the air and injure welder’s eyes. In addition, welders risk welder’s flash, eye arc, and flash burns—caused by ultraviolet and infrared radiation from the electrical arc in the welding process. Difficult work environments. Welders must often work long hours in cramped working environments where their bodies must be in awkward positions for lengthy periods of time. Hot metals. Welders are exposed to extremely hot metals, such as molten metals and hot slag, causing them to suffer serious burns. What Are the Injuries Welders Could Suffer? If you are a welder and are employed by a non-subscriber employer who has opted out of workers’ compensation, you could still be entitled to compensation for your injuries from your Texas employer. You need to speak with an experienced workplace injury attorney as soon as possible. Contact us online or call us directly at 817.380.4888 to schedule a free consultation.